My aim is simple – to design and make some of the finest bespoke Damascus steel kitchen knives available in the UK today. Every knife is a labour of love, hand made by myself at my forge on the outskirts of the historic city of York. I pride myself in creating beautiful but practical knives that can be treasured and with the proper care will last a lifetime. 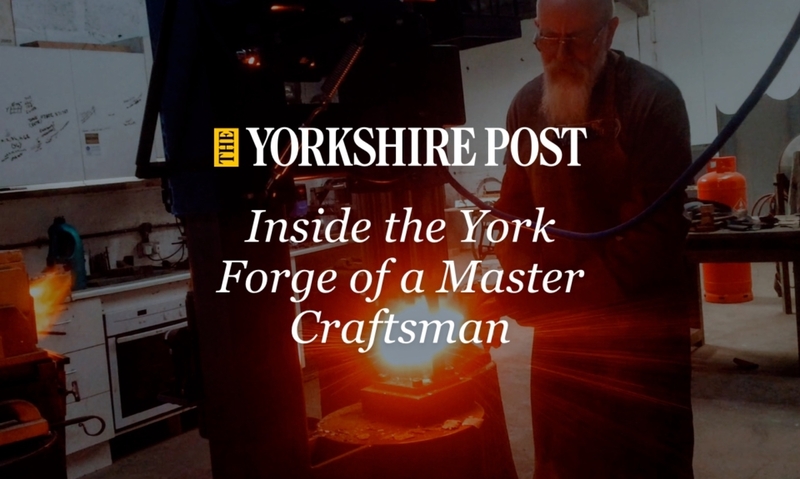 A journalist for The Yorkshire Post visited me recently at my forge for an in-depth interview. We discussed my journey into knife making, the materials, my process and even made a video! Would you like to commission your own custom knife?